The second annual Critical Pedagogies Symposium will be held on Friday, October 18th, 2019 at York University. The goals of the symposium are to: inspire pedagogical innovation, dialogue and imagination; share challenges, exchange resources and brainstorm solutions; celebrate our accomplishments and push the boundaries of possibility; (re-)centre the ‘critical’ in our teaching practices; and cultivate a network of current and future qualitative health research educators. The deadline to submit abstracts is May 15th, 2019 at 11:59pm. Cite this page as: CQ. (2019, April 24). Call for Abstracts: Critical Pedagogies Symposium. 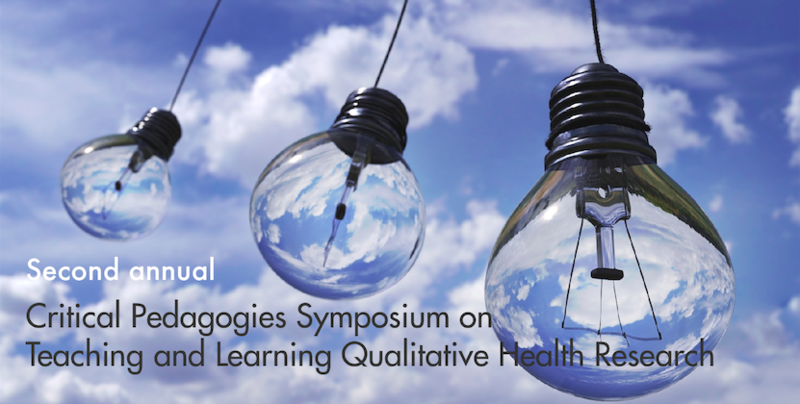 Retrieved from: https://ccqhr.utoronto.ca/2019/04/24/call-for-abstracts-critical-pedagogies-symposium/.